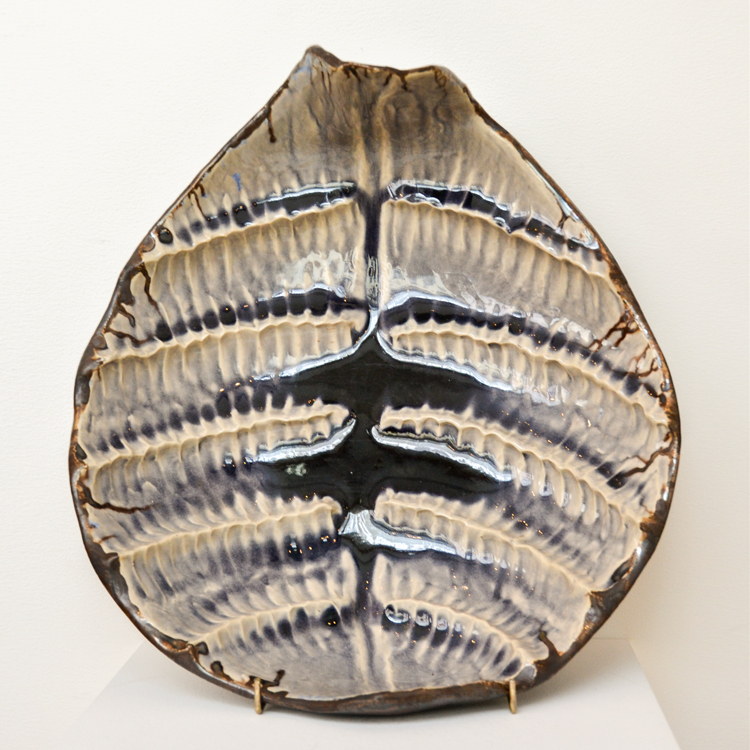 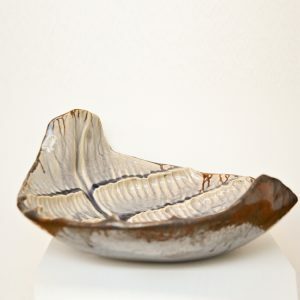 Large stoneware bowl in Nicola’s distinctive leaf design. 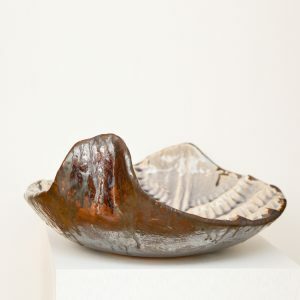 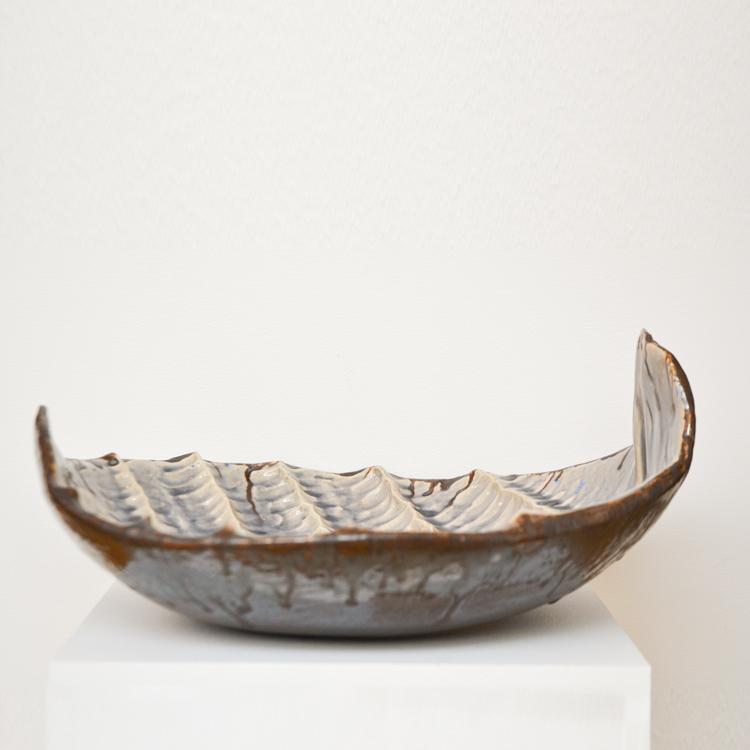 The bowl can be used as a stunning feature piece on the table or add some art to your garden or terrace. 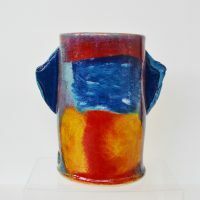 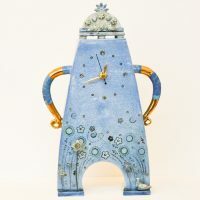 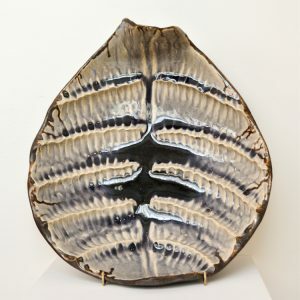 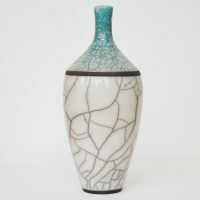 The deep blue crackle glaze has a waterlike appearance and adds to the quality finish. 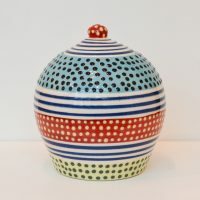 Read more about Nicola Crocker here.